Another week down and summer is almost gone. I bet you can’t guess what we’ve been playing this week?!? No Man’s Sky is flavour of the month right now, the problem is, is it’s kind of for the wrong reasons. We should all be having a great time exploring untold possibilities. But, a lot of people kind of hate it. I’m on the more positive side of the coin. Sure the game has some problems with performance and there seems to be features that we’d expected missing from the game, but overall I think it’s a good game and I’ve been having a lot of fun playing it. I’ve only put in around 10 hours to the game so far, so it’s fair to say that I’m still at the very early stages of the game and as time goes on I may start to lose interest but for now I will remain positive. I don’t know what this thing is, but it wasn’t friendly! I’d thought I’d just share a couple of cool experiences I’d had whilst playing. 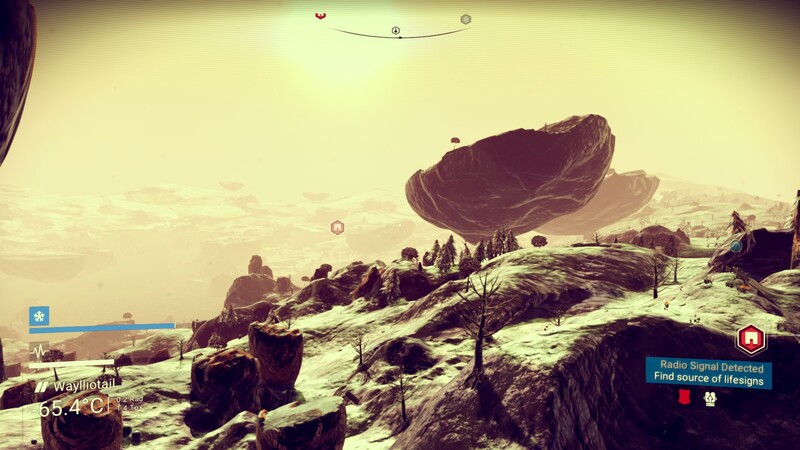 Firstly was when landing on a new planet, this planet seemed to be covered in volcano like formations except they were all square and completely hollow from the top to the bottom. Naturally I wanted to see what was inside. I proceeded to boost my way to the top of the volcano – which was around 50 metres tall. I noticed that at the bottom there seemed to be some kind of green glowing fauna. I dropped down inside to find… well nothing all that interesting to be honest. I then found myself stuck inside as the inner walls of the volcano had a lip to them which meant I wasn’t able to boost my way back out as my jetpack would run out of fuel trying to get over the lip. Luckily I had installed a mod on my multitool that allowed me to terraform and blow holes in the earth. I then started making my own way out of this volcano by burrowing under it. 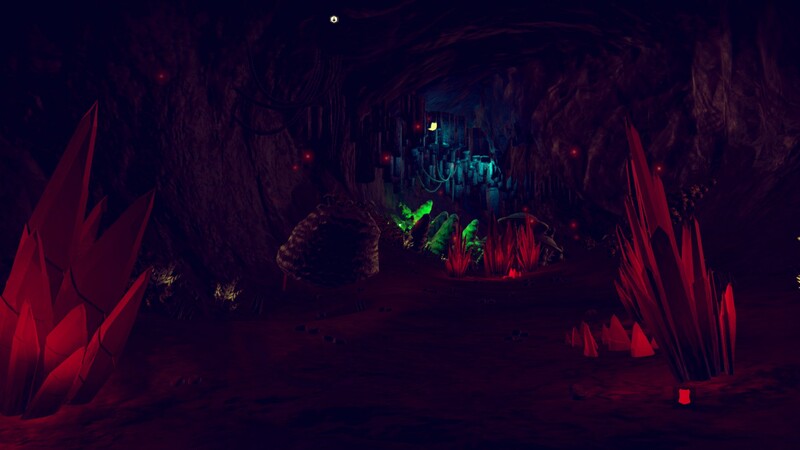 I dug a tunnel that ended up being a few hundred metres long and eventually got free – thankfully I had enough resources on my to keep my multitool topped up. Once free I decided to track down a new spaceship for myself. You can do this by finding transmitters and locating transmission signals which eventually point you to a ships location. Once I found it – it was a slight upgrade on what I had, I had to repair it. After combing the nearby area for enough resources to make the necessary repairs I was ready to jump in and fly off in my newly acquired ship! It’s these kinds of unscripted moments that had me excited to play the game in the first instance. I’m under no illusions that the game has failed to deliver what we thought it would, but that doesn’t mean what is there isn’t good. I just hope it remains fun and that new content keeps coming to the game over the next few months. 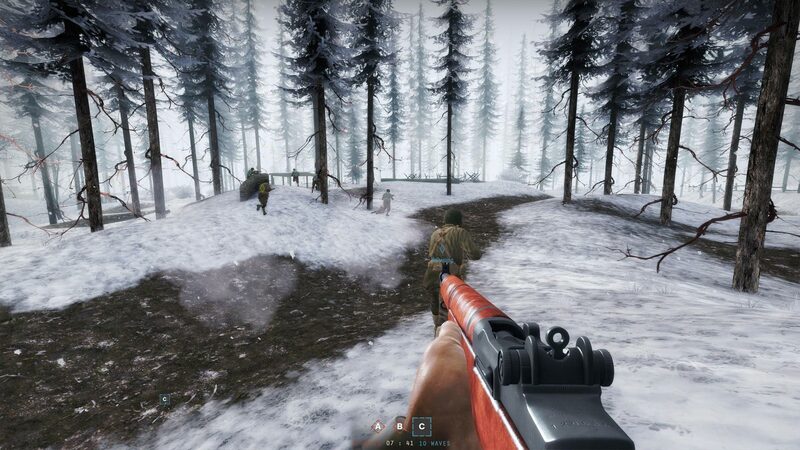 WW2 games kind of disappeared for a while, but they seem to be having a mini resurgence with a few going on to Kickstarter and Day of Infamy getting its own standalone version from Insurgency. It started out as a MOD on Insurgency and I only played a tiny amount of it when it as there, but now that its standalone I’ve been playing quite a lot of it and I love it! Sure it looks a little tired and old, but it’s still so fun to play and the sound is great. Hearing shots pining off helmets, hammering through windows and whizzing past your ears all sounds really good and helps to create a great atmosphere whilst playing. It can take a little getting used to as there are no crosshairs and sometimes you’ll get shot out of know where and won’t have a clue where it came from, but I kind of like that. It’s brutal, but also rewarding if you manage to be the one dishing out the kills. I prefer the maps that are set in towns as it’s just a bit easier to spot enemies – the ones in forest, damn it’s like fighting against ghosts. I’ve been playing some We Happy Few recently and put together my first impressions of the game here! As Will mentioned above No Man’s Sky is indeed flavour of the week or month in this case as it features in another Geekly Review. It’s a massive game release so don’t be shocked to see it for a few more weeks. So I’ve done as I said I would previously and started again. Completely removed my old save file and started it up again fresh. Now that I know the limitations of the exploration my approach to play is much different to my first experience. I’ve yet to really fully understand how to get a new ship, so in the mean time I’ve been upgrading my original ship with shield and weapon upgrades. I’m onto my 3rd solar system now and in this system have found my most interesting planet yet. It’s rather pretty with long grass, trees and a gorgeous skybox. Unfortunately I’ve yet to upload any of the screenshots I’ve taken of this play through from my PS4. So you’ll have to settle with your imagination. 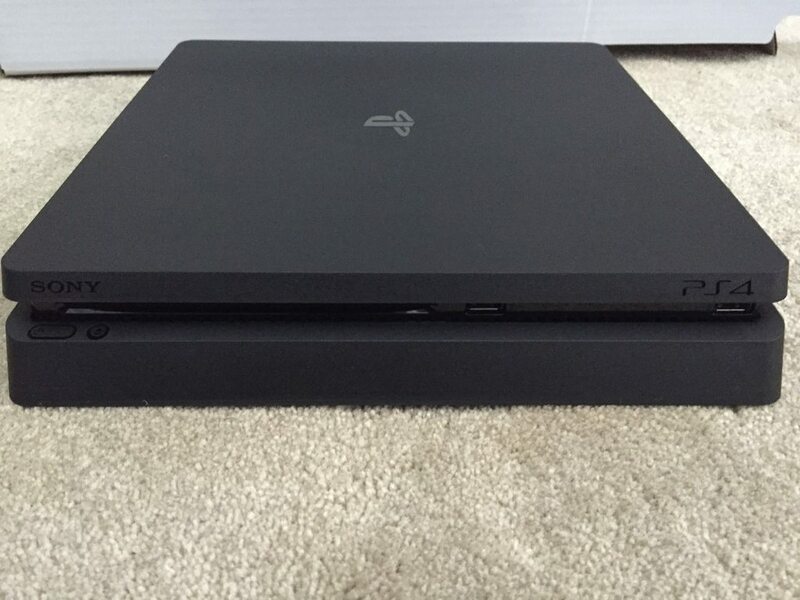 Last night on UK GumTree an observant customer stumbled across a PlayStation 4 slim that was for sale. Of course within minutes of this hitting NeoGAF the place went into a frenzy of is this real or fake? Posters VenonFox and AAMARMO were the sleuths that found the console and contacted the seller to provide pictures of it. Twitter user shortman82 actually bought said console and has been posting pictures of it with his original PS4 for comparisons. Since all the fun and games from last night, It’s been revealed that Sony will show the new hardware off at their PlayStation Meeting on 7th September. Sony Corp. plans to introduce a new PlayStation 4 standard model alongside a high-end version next month, people familiar with the matter said, in an effort to maintain demand for the best-selling videogame console. With the release of the two models, Sony hopes to attract hard-core fans and more casual users to its videogame platform, analysts said. The company has been trying to build a community of users so that it can earn consistent revenue from subscriptions and software downloads. Sony has said that it would hold a news conference at the PlayStation Theater in New York on Sept. 7. A Sony spokesman said the company would talk about the PlayStation 4 business at the news conference. Sony said in June that it planned to introduce a high-end version of PlayStation 4 with enhanced graphics capabilities, but it hasn’t publicly discussed plans to refresh its standard model. So the Olympics came to a close last night after an incredible performance from our athletes (Team GB). In 4 years time Tokyo will host the games and the traditional hand over ceremony to show off what to expect from the next hosts was incredible from Tokyo. Featuring Pac-Man, Hello Kitty, Doremon and Mario. The show featured the Japanese prime minister appear in the stadium through the famous green pipes from Mario wearing the plumbers red hat. It looked amazing. Still going to wait on No Man’s Sky. I feel that it isn’t as complete as they would like it to be. I’m also not big on the whole survival aspect of it, needed to micro manage inventory in order to not die. I’m hoping for just true exploration of the billions and billions of planets they were offering. That’s what I wanted. 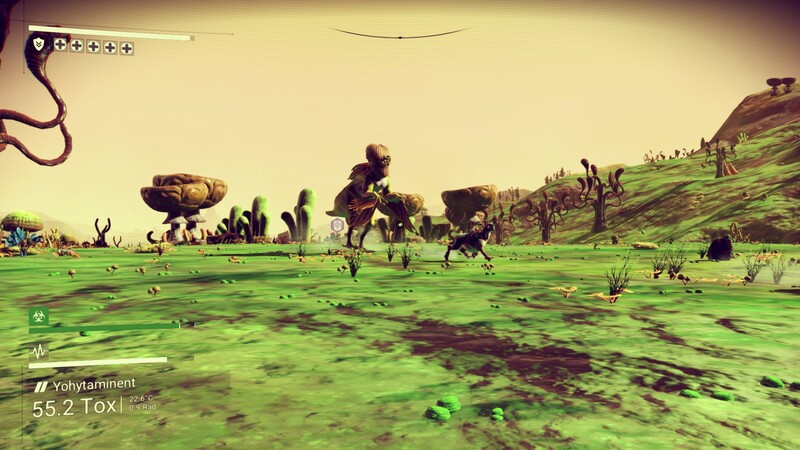 To see what the procedurally generated worlds ended up like without having to worry about anything other than exploration. No its not complete. Definitely a lot of stuff missing from it. Could’ve probably benefited from another delay to be honest. The survival stuff isn’t really that intensive. I’ve never struggled to survive. Hopefully it will get better with some updates, but I do still like it. It’s been interesting reading the mixed reviews on the game.